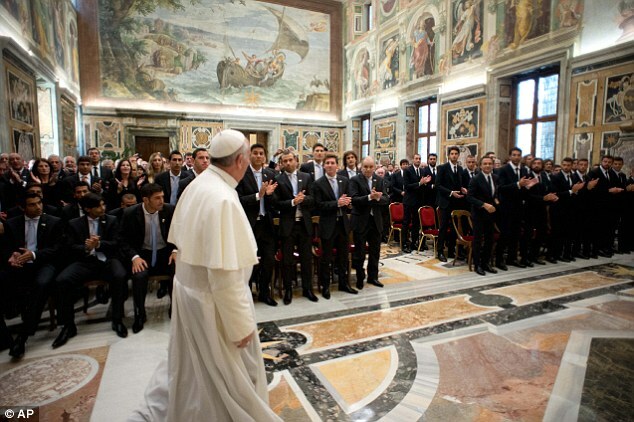 Players of the Italian national team and Argentina national team met with Catholic Pontiff, Pope Francis at the Vatican ahead of the friendly between the both side in Rome on Wednesday night. 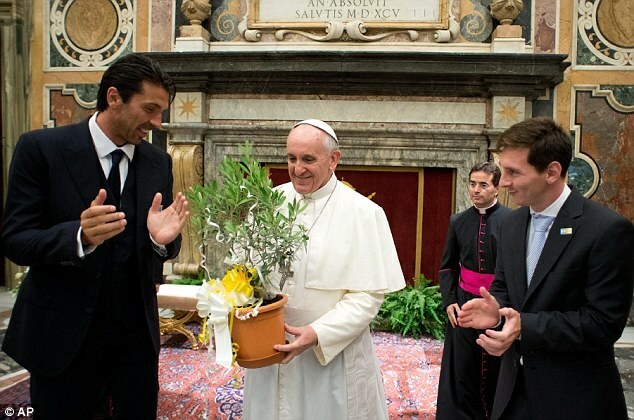 World best footballer Lionel Messi met with the Pontiff, who is his compatriot with his team mates as well as players from the Azzurriof Italy..
Francis also asked for the players' prayers for himself 'on the playing field God put me on' and lamented that sport has become big business. 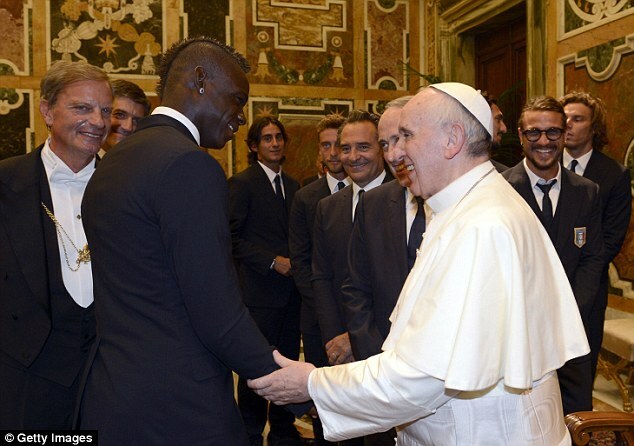 It will also be interesting to see if Balotelli will heed the advice of the Pope.